The Broughton Foundation is a tax-exempt nonprofit organization founded in 1991 by Carl and Elizabeth Broughton. 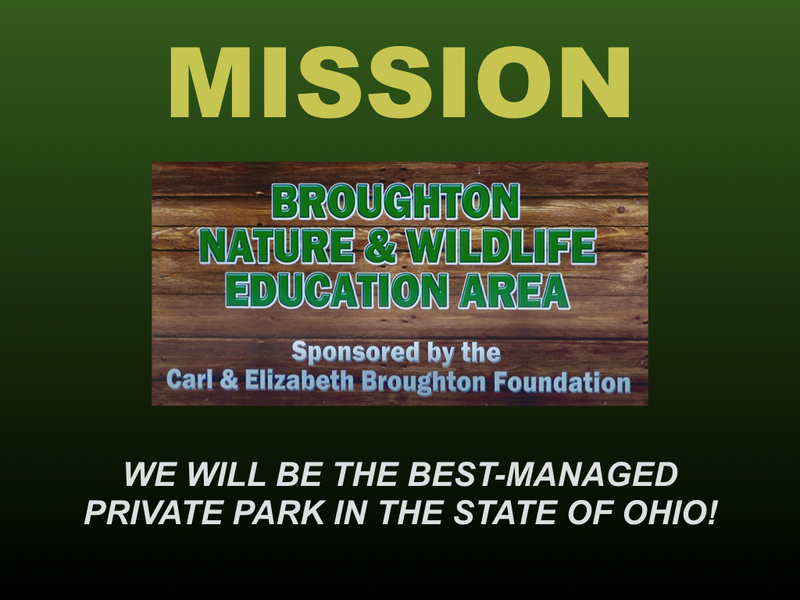 Development, maintenance and management of the Broughton Nature and Wildlife Education Area (“The Park”) is the primary mission of the Foundation. 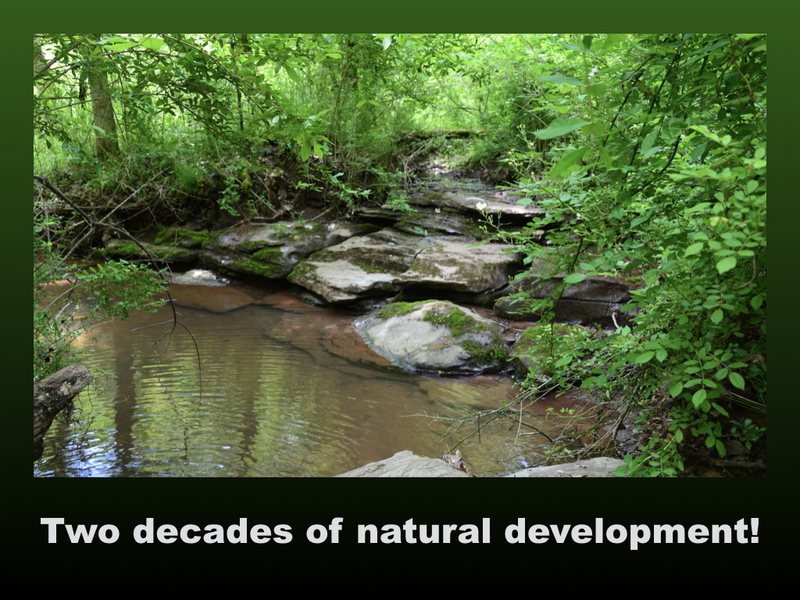 The Park is 600 acres of habitat that has been steadily developed over 20 years or more. Much of that development has been related to trails and natural features that otherwise has not been disturbed — there is a quiet beauty out there in the woods. Some features of the Park appear naturally. Some have been planned and constructed by the board and community volunteers. Others have been developed in partnership with local outdoor enthusiasts and user groups. Eagle Scout candidates often approach the Foundation with ideas for projects which they and their leaders and fellow scouts take on. In addition to adding Broughton-owned land to The Park over the years, in 2018 the Foundation leased 200 acres from Rudolph Farms in order to connect Broughton trails to the Marietta Trail System. The Foundation also played a role in the development of the Devola Multi-Use Trail which gets a lot of use. Thanks to collaborations with user groups to develop facilities for specific activities, The Park is much more than trails. It attracts a variety of outdoor enthusiasts. The Foundation is managed by Ruth Broughton, Mary Broughton, and George and Nancy Broughton who have the full support of their families and a volunteer board of directors. As a private foundation that has managed its resources carefully, The Broughton Foundation is in a position to operate efficiently through advance planning. Success is thus measured in usage. The Park is a 600-acre educational and recreational area available for wildlife and environmental study. Its natural features include three ponds, a stream, a waterfall and several areas of undisturbed habitat. 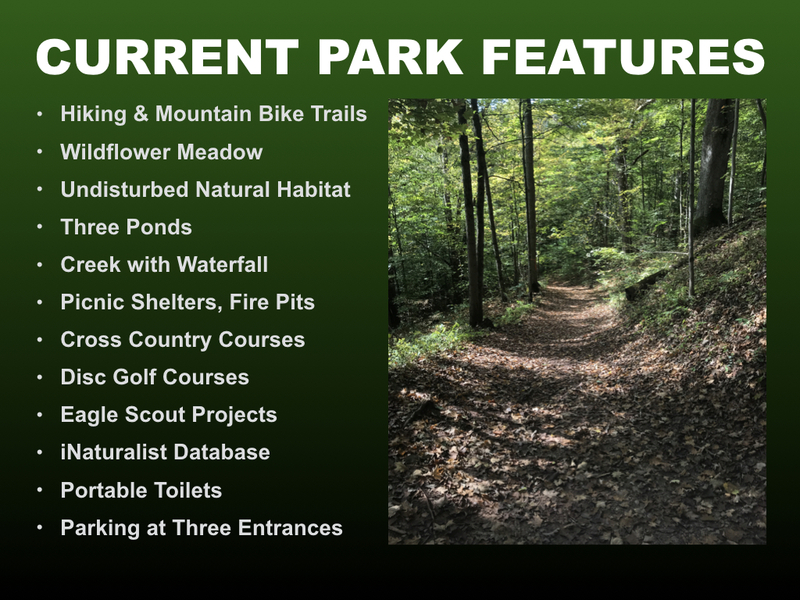 Other features include an extensive hiking and mountain biking trail system, cross country courses used by Marietta City Schools and Marietta College, two disc golf courses, shelter sand grounds area, two smaller picnic shelters and three entrances with convenient parking. 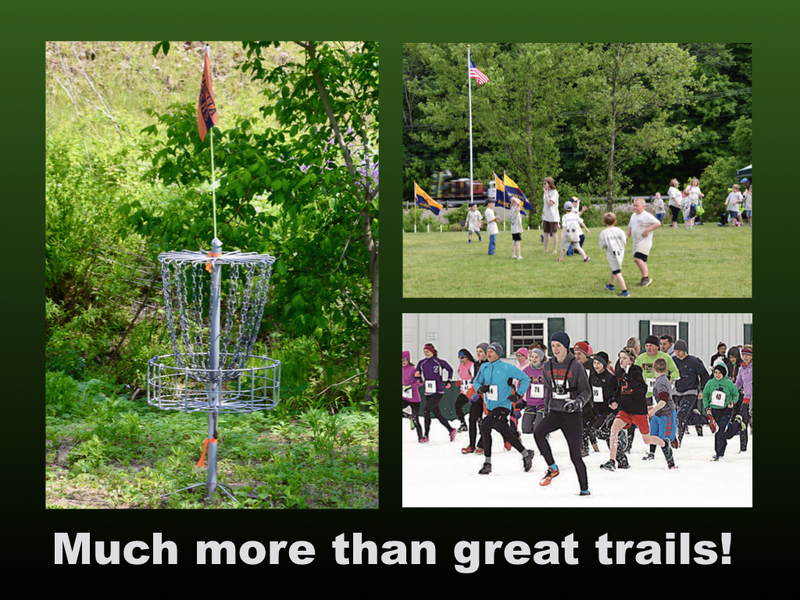 Ongoing collaborations between The Broughton Foundation and various trail committees, cross country coaches, disc golf enthusiasts, hiking and mountain biking groups, naturalists, Eagle Scout candidates and others have been extremely successful in developing the area for additional activities and public enjoyment. The Broughton family views The Park as a work in progress. The goal is to become the best-managed privately owned public park in Ohio. 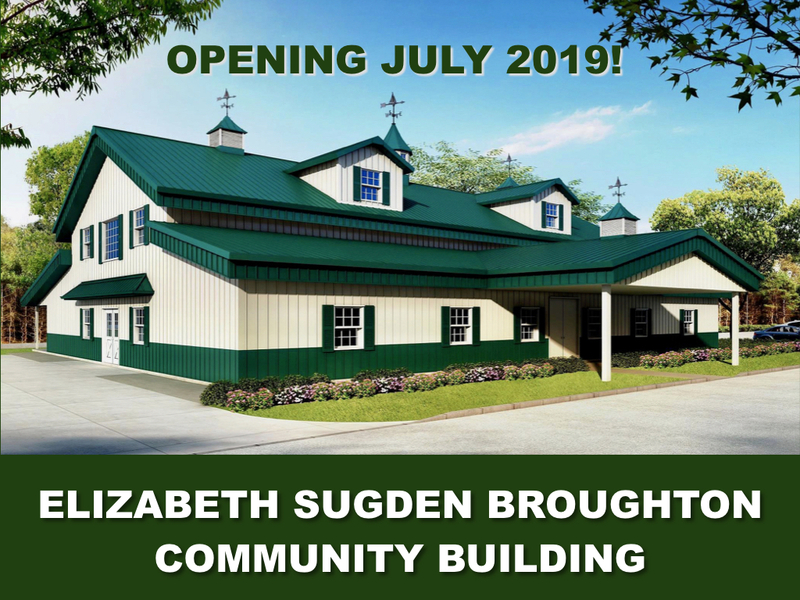 The Elizabeth Sugden Broughton Community Building will be located near the main entrance to The Park on State Route 821 in the activity center of The Park. The building is designed for meetings, presentations, training, and social events. It will have a kitchen for food brought in by users and caterers. It will be ready to host events in July 2019. It will be formally dedicated next September. This is the latest and largest building project undertaken by The Broughton Foundation which has been associated with other projects that contribute to economic development and to the quality of life in the community. The Foundation is also the principal donor to The Carl L. Broughton Boathouse. Gifts to the Foundation may be sent to the Marietta Community Foundation. Gifts to the Elizabeth Sugden Broughton Community Building should be marked “ESB Building.” Gifts in support of Park trails, ponds, picnic areas and grounds should be marked “Park Maintenance.” Financial gifts to the Foundation will be used entirely for maintenance and further development. Contributions in kind are also appreciated.